Super awesome. I couldn’t imagine doing textured pads, spell-like harmony riffs, spooky drones, and slinky melody lines that skip strings without the Gizmotron 2.0. It truly turns a guitar into something magical. 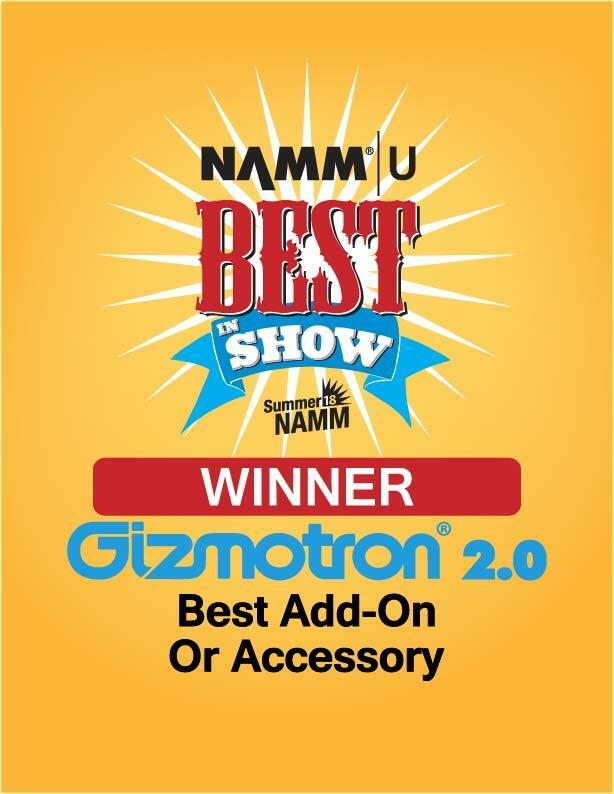 "All hail the Gizmotron 2.0, a revised and updated version of the classic.. it offers endless player input.. This is where one’s artistry comes in – you can control the attack, timbre, and sustain of each note or chord based on the nuance and touch-sensitivity of the levers. And the Speed control allows fine-tuning volume and tone on the fly." "High-tech aesthetics and superb workmanship...it is a unique device and in the right hands is capable of producing an abundance of compelling sounds—from choppy staccatos to languid legatos to marcato buzzing and beyond." 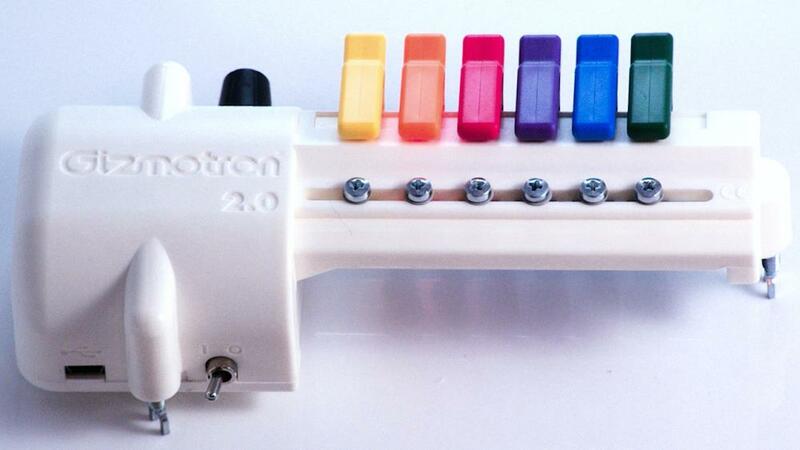 The Gizmotron® 2.0 is a patented mechanical bowing device that attaches to electric guitar or bass, enabling players to produce string sounds such as cello, viola or violin. 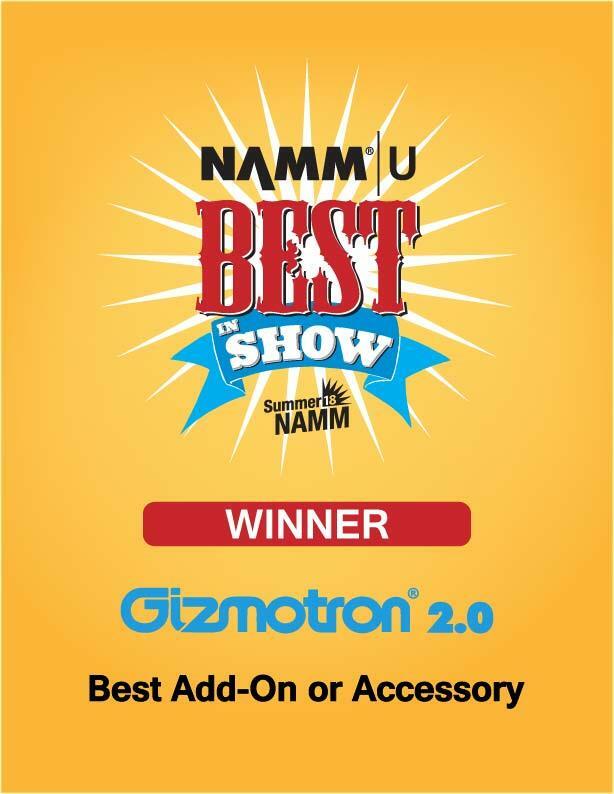 With the Gizmotron® 2.0, you can create endless sustain, haunting drones or bow polyphonic chord arrangements. It is an effect that entices orchestral sounds from your instrument and unveils a new dimension of sonic enjoyment for players and listeners alike. 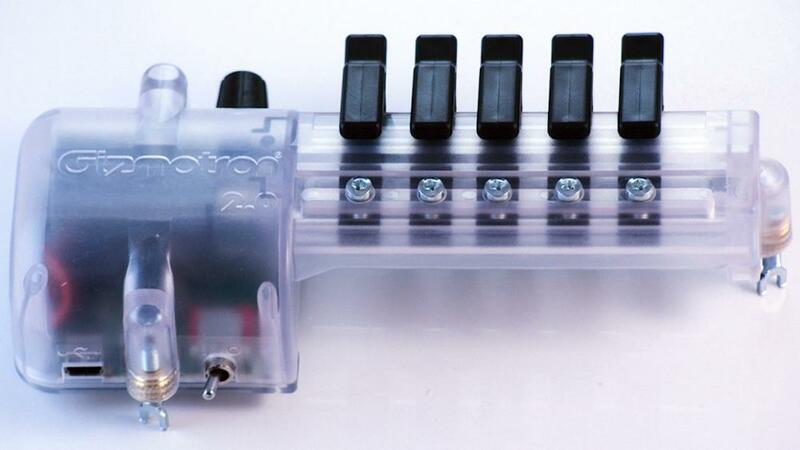 A Device that will challenge guitar and bass players to re-imagine their place in the stringed instrument world.